Thats right – HAMP filters have changed. The ever popular green filter has changed to blue ! Those who have been using HAMP filters for a long time will know that the original part number for HAMP oil filters was H1540-PLC-505. These were made in Japan by Toyo Roki. 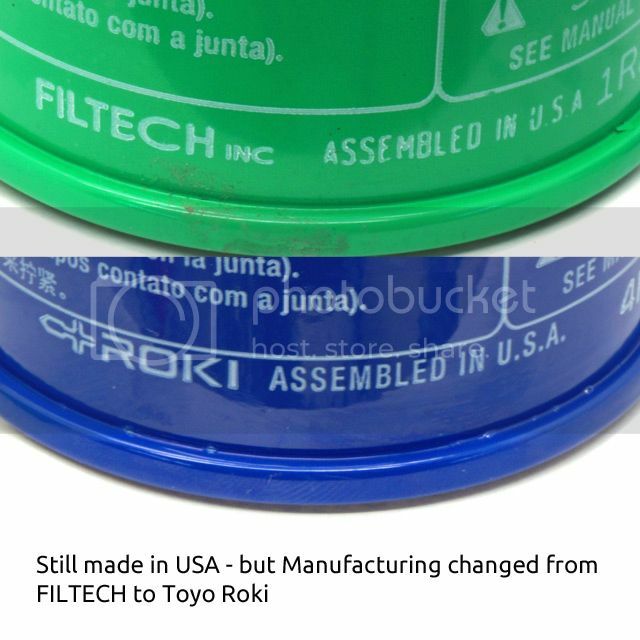 At some point in 2008, the part number changed to H1540-RTA-505, with the filters being made by FILTECH in USA. 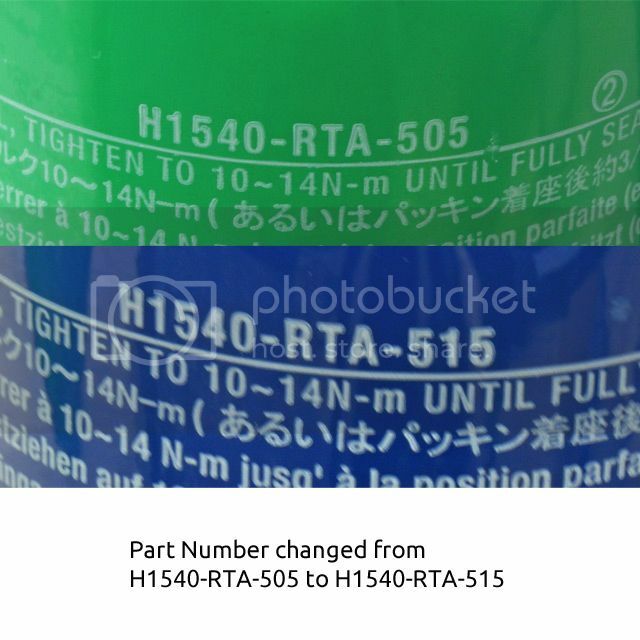 As of October 2014, the part number has changed again to H1540-RTA-515, and the new part number is made by Toyo Roki in USA. First up – size comparison. The new H1540-RTA-515 filter is exactly the same size as the old filter – no change here ! Q – Is the fitment the same ? 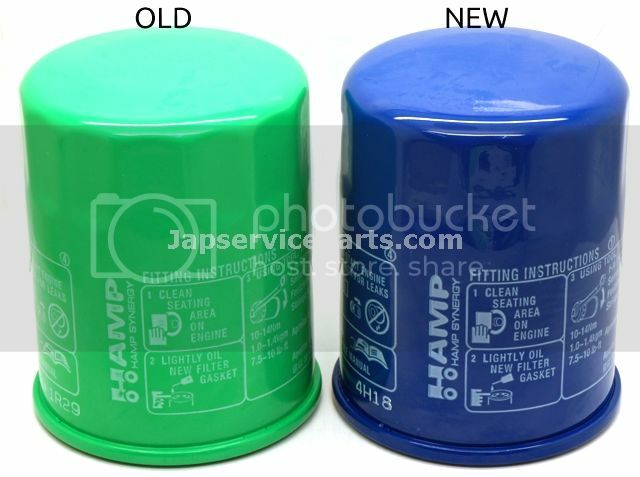 Q – Why are other companies still selling the old green filters ? Q – Is there any difference in the quality ?